Bending the Spine: OMg!!! J.K. Rowling is writing a new film series! Image from GR author page. Who did not LOVE the Harry Potter books and movies?!?!?! I am counting the days till my little ones will be old enough to go through the series so that I can enjoy it with them all over again. 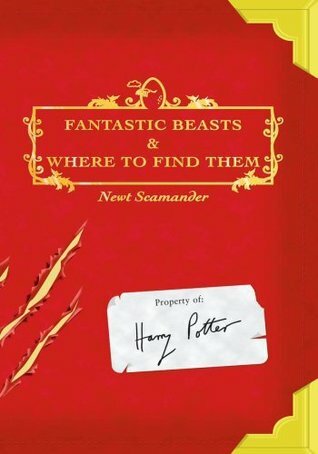 We will soon all be able to get back into the wizardly world with Rowling’s new film series based on her Harry Potter companion book Fantastic Beasts and Where to Find Them. I was so excited about this when I read it and wanted to share. In case you haven't seen the press release, you can read it here. I so hope this is as awesome as the rest of the franchise has been! Woo Hoo!!! I'm just as excited. I'm definitely excited, too. I'm curious to see how this will become a series and how many movies it will be. I'm wondering the same! I am just so excited to have more of that world expanded visually. Eeeeeee, I KNOW, HOW EXCITING IS THIS!! I wouldn't be nearly as excited if the screenplay wasn't being written by Jo, but I bet she has a whole backstory for Newt Scamander and thus I have faith that this will be a really excellent film series! Yay!! Agreed! The fact that she is doing the writing makes it worth waiting for.